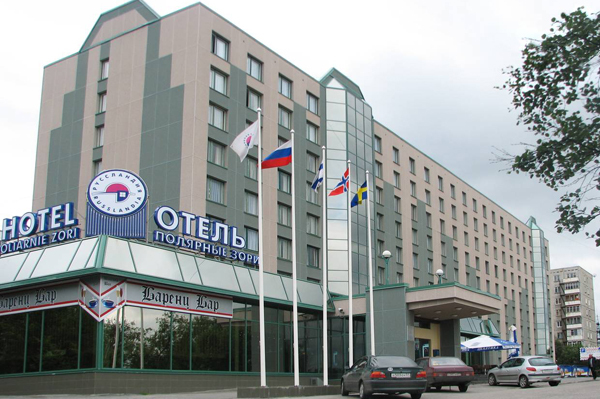 Location: The hotel is situated in the centre of Murmansk offering magnificent views over the Kola Bay. Hotel Facilities: restaurant, 2 bars, business centre, 3 cConference rooms, fitness centre, saunas, solarium, jacuzzi, indoor swimming pool, night club, parking lot. 39 business double rooms, 24 business suites, 4 senator suites, 2 apartments. Room Facilities: ensuite/private bathroom, Wi-Fi, LCD flat screen televisions with pay-per-view movies, coffee and tea making facilities, hairdryer.